Hello! My name is Della and I am an adoptive mom to a great kid from Ukraine! 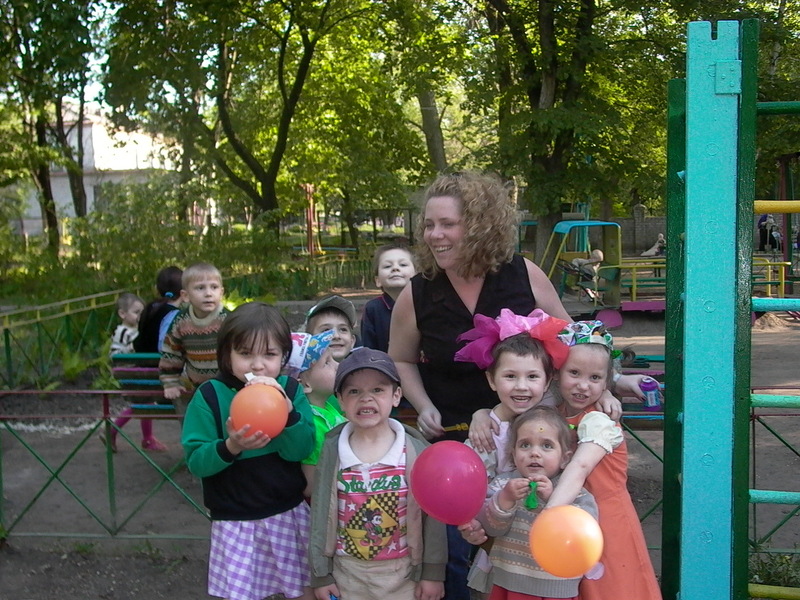 I belong to a wonderful group of parents who share my story and my ambition to help the children left behind in Kramatorsk. We actively stay in touch with one another through phone calls, emails, and yearly reunions. Each and every one of us have seen the conditions from which our children came and have vivid memories of those little ones who were left behind. I recently returned from a visit at my son's orphanage (Antoshka) and knew that I needed to do more. I came home and enlisted the help of the other families and that is when Karing for Kramatorsk was born. Together we want to make the lives of the children happier and healthier but we can't do it alone. We need your help to make our dream come true! Please take a tour of this website and get to know us better. There are many ways in which you can be a part of this wonderful project. I will continue to update this site with pictures of us delivering donations, Kramatorsk family's stories, adoption links and lots of other goodies! Enjoy! !